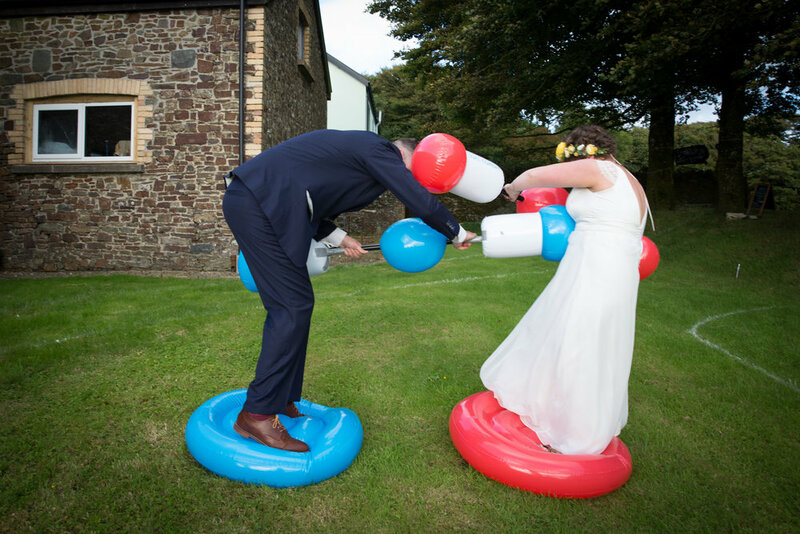 Back in August this year I was privileged to photograph the beautiful wedding of Clare and Ben. 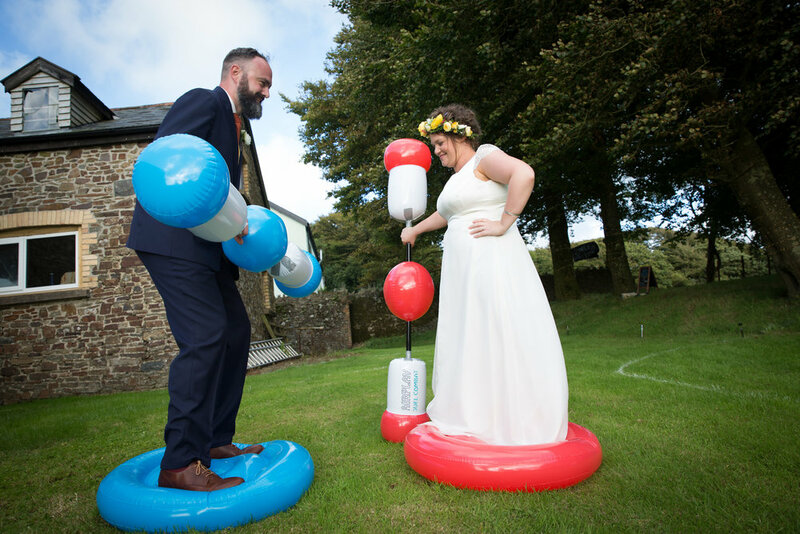 These guys had planned and thought about every fine detail about their wedding which made it so very personal and touching and very them! 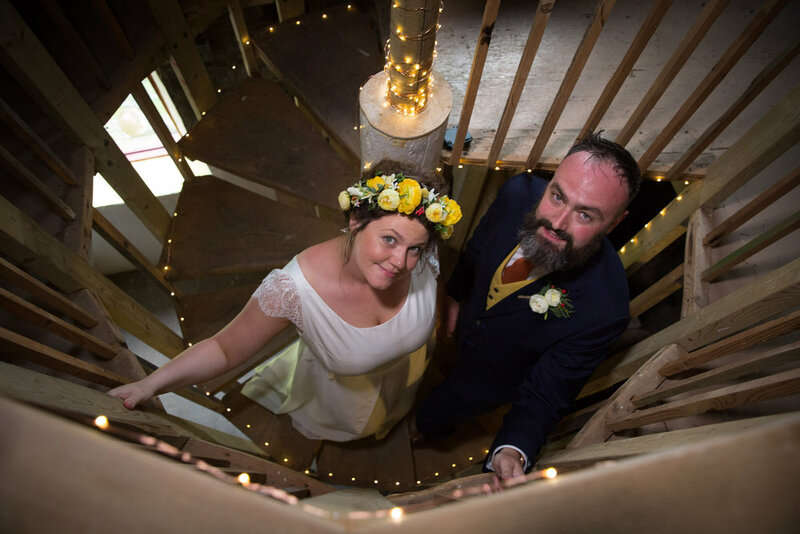 A few days earlier Clare and Ben had the official marriage license bit done but today was all about them and their family and friends celebrating their wonderful day at Clare's family home in Hartland. 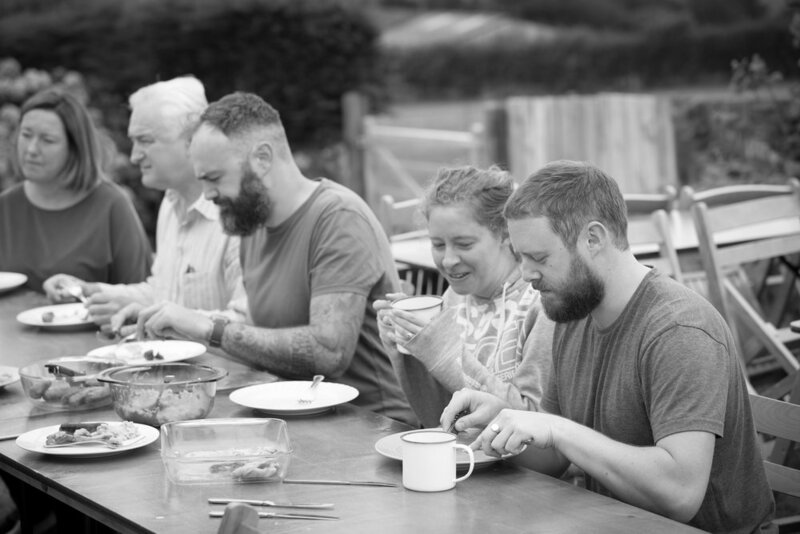 The day began for Ben with breakfast in the garden along with a few family members before they all set about transforming the garden to accommodate the wedding guests. Be it moving around haystacks, arranging the table and chairs or setting up and dressing the tables, everybody mucked in. Meanwhile inside the house Clare and her bridesmaids were having a bit of pampering, having their hair and make up done. Once Clare was ready her attention turned to setting up and dressing the wedding cake with fresh fruits and berries. Ben and Clare had made the cake themselves. It was a Guinness chocolate cake with marscapone filling but each tier was a different flavour. Salted caramel in one tier, gooseberry in the second and raspberry and cherry in the third. It looked mouth wateringly good. With everything now set for the day it was time for both the bride and groom to get themselves dressed and ready in different ends of the house. 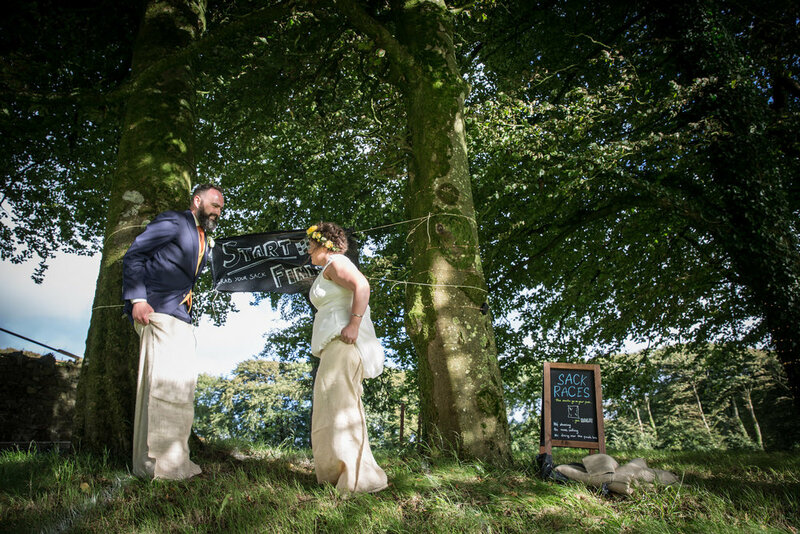 The guests were starting to arrive and make their way through the garden and out onto the field behind where the wedding ceremony would take place. The ceremony was short but beautiful with heartfelt words spoken about the bride and groom and a lovely personal touch from Joe Bens brother who got up to sing a song that Ben had written himself. The weather although grey and a bit breezy it was kind to us which meant that the wedding breakfast went ahead in the garden. 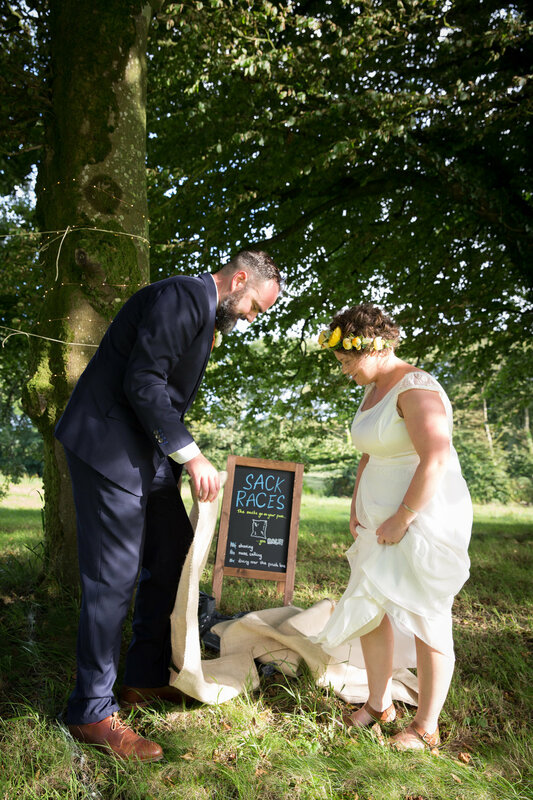 Ben and Clare had put a couple of picnic hampers on each table filled with food for their guests with the added personal touch of that in each hamper there was a surprise gift of favourite cheese, wine, biscuits and beer for their guests. And the personal touch didn't stop there. The Best Men were given pen knives that Ben had personally carved and they were expertly sharpened by Ben's Dad Stuart! Remember the wedding cake made by Clare and Ben well they not only cut the cake but they served it to all of their guests too. And yes I had some......how could I say no? I had the gooseberry filling and OMG .... it was out of this world!! After a good fill of food the drink was steadily flowing, time to get the walking bus to the neighbouring barn to carry on with the celebrations. 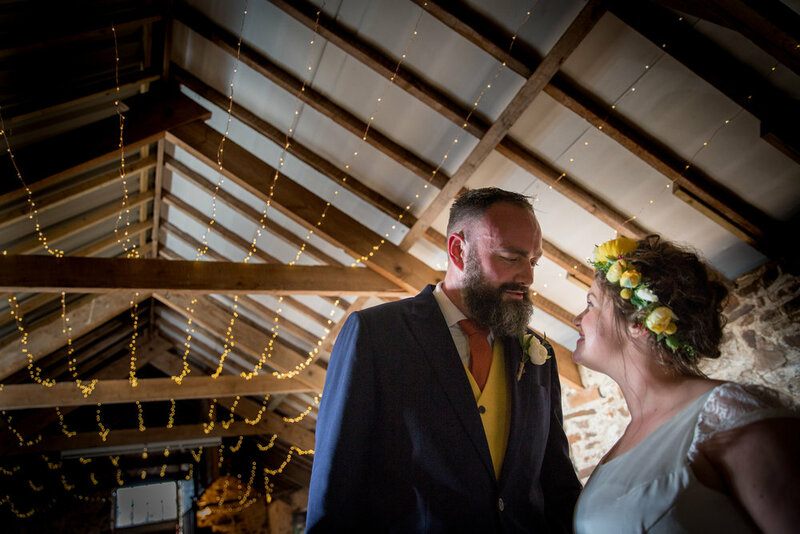 The barn had been adorned with twinkling fairy lights and the space was dived by a string curtain of origami cranes. Clare and Ben had hand folded each individual crane, hundreds of them! 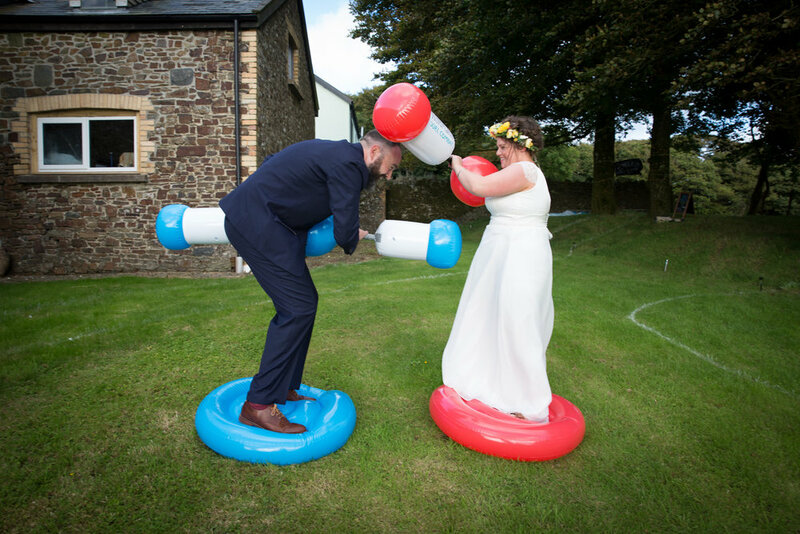 Outdoor games had been organised inflatable dueling and sack racing and of course being the competitive pair that they are Ben and Clare were the first ones to put the games to the test. 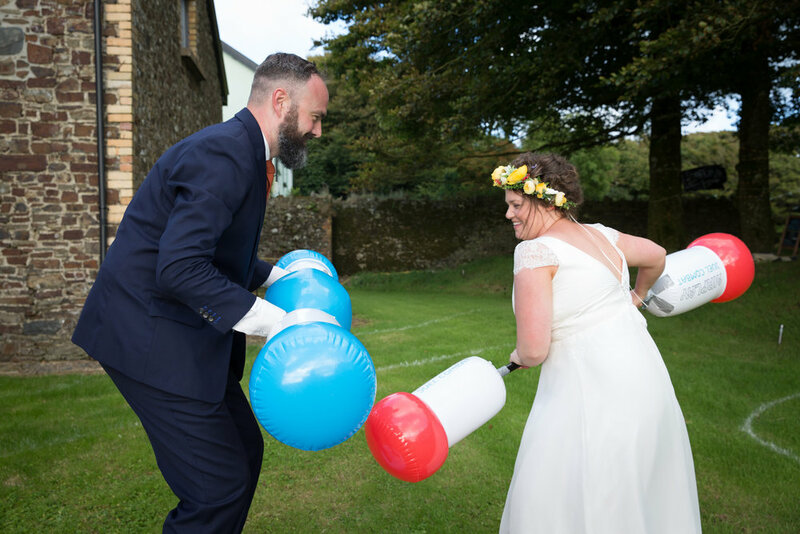 This was one of the best most selfless weddings I've been to. 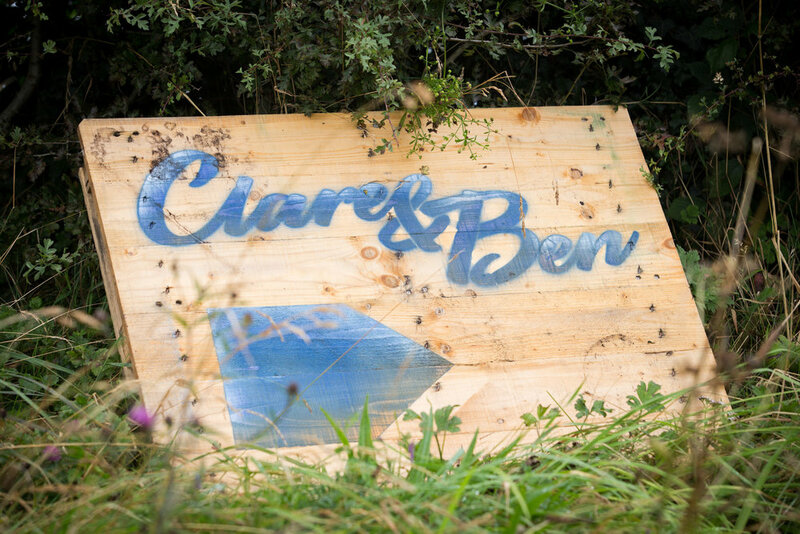 Its obvious to see how deeply in love and crazy Clare and Ben our. But equally that love extends to their family and friends and it shines through in all the tiny personal and meaningful details of their day. I am honoured to have been a part of this amazing day. Below is a collection of images from their day, I would love to know what you think.